The story of Weymouth is a continuous story of conservation, literature, music, and hospitality. In the early 1900s, while passing through the town, encountering turpentine workers and witnessing the devastation to the forest, Helen Boyd Dull asked her father, Pennsylvanian steel and railroad magnate James Boyd, to save the land. With the purchase of twelve hundred acres, Boyd established an estate which he called Weymouth for its resemblance to Weymouth, England. Rather than maintain it for his own pleasure, Boyd opened the land to townsfolk and tourists to enjoy as a natural park. Designed over a 24-year span by landscape architect Alfred Yeomans, restoration plans included bridle paths and carriage lanes laid out so as not to harm the trees. 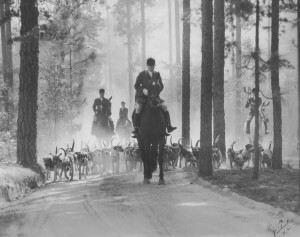 The land was passed to his two grandsons, Jackson and James, who, in 1914, founded the Moore County Hounds (MCH). The MCH is still active today on land originally part of the Boyd estate, now conserved for the public as the Walthour-Moss Foundation. 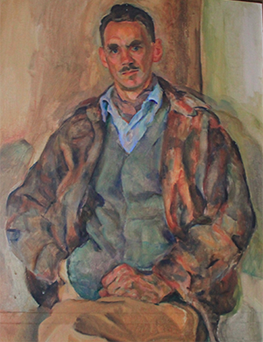 James Boyd was a poet and writer, author of Drums, and after serving in WWI, retreated to Weymouth as a permanent resident to write, ride, and manage the estate with his wife Katharine. 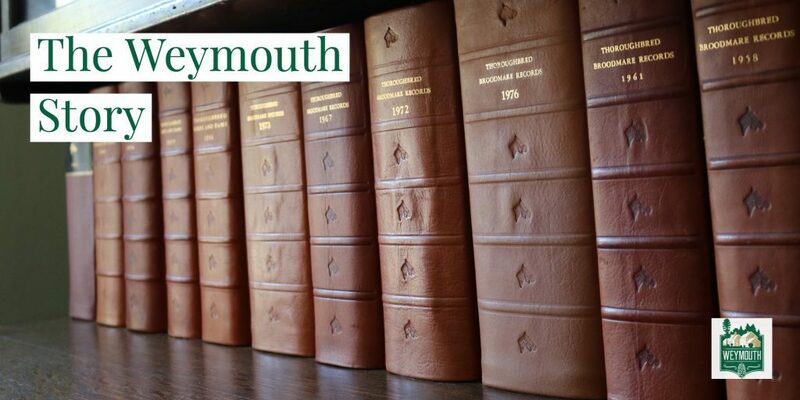 Together they entertained guests such as F. Scott Fitzgerald, Thomas Wolfe, and Sherwood Anderson as Weymouth became a center of Southern literary culture. Jonathan Daniels insisted that, as a place of hospitality for writers in the 1920s and 1930s, Weymouth helped launch the Southern Literary Renaissance. After James died in 1944, Katharine oversaw the estate, its preservation, and established what would become the first nature preserve in the North Carolina state park system. Weymouth Woods Sandhills Nature Preserve was established in 1963 with an original gift from Katharine Boyd of 403 acres after the death of her son Daniel. Her wish was to preserve the woods as they were when her son played in them as a child. An additional 153 acres, the Boyd Round Timber Tract, was purchased after Katharine’s death in 1977. Set in an area more known for horse farms and golf courses, today Weymouth Woods is a 900 acre, limited-use area that portrays the natural features of the Sandhills region. Throughout the woods are remnants of the turpentine industry, pines carved with the V-shaped cuts, and boxed for collecting pine rosin. 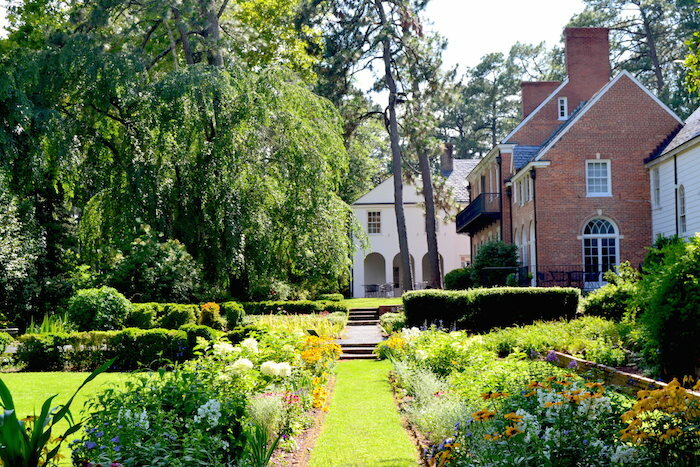 The home of James and Katharine Boyd is now the Weymouth Center for the Arts & Humanities, a cultural center dedicated to conserving the remaining 26-acre estate as a natural preserve and park, including the formal gardens designed by Alfred Yeomans, and the longleaf pine forest. The Boyd house, a 9,000 square foot Georgian mansion, still serves as a writers residency, the site of poetry readings, dramatic performances, music concerts, and recitals. James Boyd’s study is the home of the North Carolina Literary Hall of Fame, established in 1996. The Weymouth Center is also the gateway to the Boyd Round Timber Tract and its extensive trails which are located just beyond the house and gardens. Weymouth is open year round to the public. Across from the Weymouth Center, visitors may enjoy taking in an exhibition at the Moore County Arts Council, located in the former home of Jackson Boyd.